Navigating the challenging world of lupus can be daunting and confusing. Valuable resources for education, support, and financial/legal assistance are plentiful but can be difficult to filter. Kaleidoscope Fighting Lupus is continually updating and vetting a list of internet resources for education, support, and financial or legal assistance, among other topics. Please let us know if you have suggestions to add to these resources, or links you have found useful! Contact us at info@kflupus.org. Not in Oregon or Washington? Please click here to see if there is 211 service in your area. Get help finding low/no-cost prescriptions through the Partnership for Prescription Assistance or Patient Assistance Programs. Additionally, check out these additional links to find discounts on over 50,000 medications. OK Copay is a great resource especially for those uninsured or those who have high deductible plans, and will help you determine pricing or comparing healthcare providers. Anyone paying out-of-pocket for their healthcare wants to know how much they’ll pay ahead of time. Find a Rheumatologist in your area that’s right for you through the American College of Rheumatology’s database. An excellent guide to lupus provided by the National Institute of Arthritis and Musculoskeletal and Skin Diseases. MedlinePlus is a great source of lupus information and resources. WomensHealth.gov is an excellent women’s health resource, and a key sponsor of the “Could I have lupus?” campaign. Their downloadable Lupus Fact Sheet is a fantastic resource. NCCAM’s website provides access to the latest research and clinical guidelines on a wide variety of treatments. 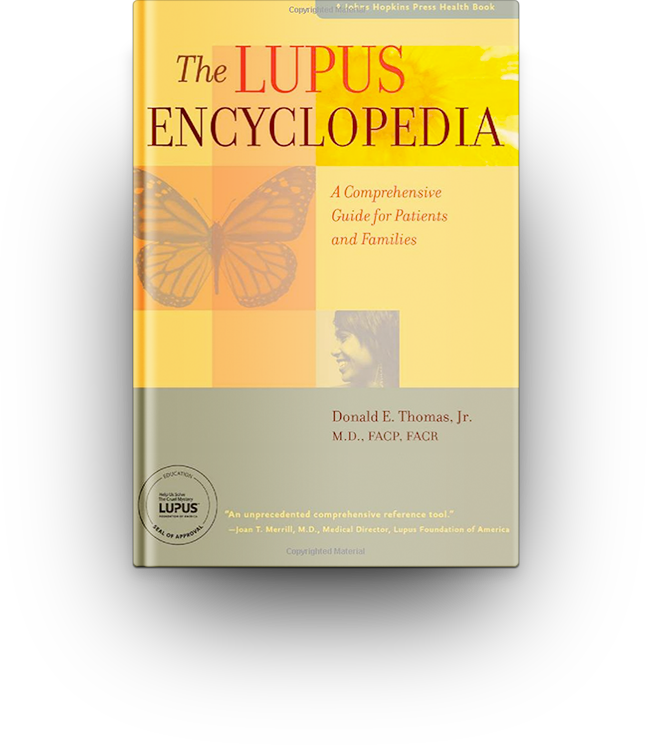 The National Institute of Health and Human Services offers free, multi-lingual printed information in PDF form on various health topics, including lupus. You may order up to 10 different titles through their online form. Informational website with focused efforts on offering readers and visitors objective, trustworthy, and accurate health information. The Lupus Research Alliance, the world’s leading private funder of lupus research, is a National Research & Advocacy Partner of Molly’s Fund Fighting Lupus. As in all fields of scientific inquiry, lupus research has been greatly advanced by the pioneering studies of brilliant scientists — and the caring people who participate in clinical trials. In these studies, scientists and laypeople work together to find safer, more effective methods to diagnose, prevent, treat, and ultimately cure diseases. Search for clinical trials across the United States with this tool designed by the National Institutes of Health. Create a free of charge, private, web-based community to organize family, friends, neighbors, and colleagues during your journey with lupus. Easily coordinate activities and manage volunteers with our intuitive group calendar. Communicate and share information using announcements, messages boards, and photos. Proponents of this eating plan argue that it can boost immunity, and ward off a number of infections, illnesses, and maladies. Unlimited Choices is a Oregon-based non-profit agency, which provides accessibility solutions for the homes of people with disabilities. All resources provided by Kaleidoscope Fighting Lupus are for informational purposes only and should be used as a guide or for supplemental information, not to replace the advice of a medical professional. The personal views do not necessarily encompass the views of the organization, but the information has been vetted as a relevant resource. We encourage you to be your strongest advocate and always contact your medical provider with any specific questions or concerns. 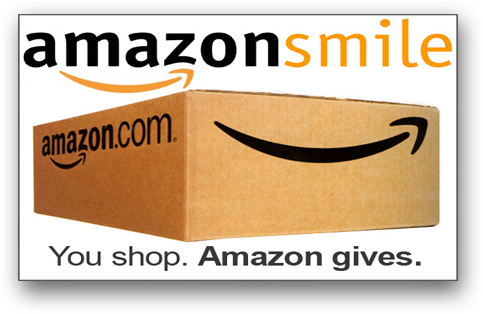 When you shop a smile.amazon.com, you’ll find the exact same low prices, vast selection and convenient shopping experience as Amazon.com, with the added bonus that Amazon will donate a portion of the purchase price to Kaleidoscope Fighting Lupus. On your first visit to smile.amazon.com, you will select Kaleidoscope Fighting Lupus to receive donation from eligible purchase before you begin shopping. The site will remember your selection, and then every eligible purchase you make at smile.amazon.com will result in a donation. Just make sure to start your shopping at smile.amazon.com. 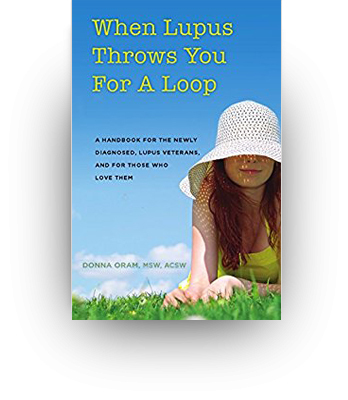 When Lupus Throws You for a Loop is a handbook for those newly diagnosed, lupus veterans, and those who love them. It takes you on a journey to acceptance acknowledging the difficulty of incorporating lupus into your life. You learn ways to communicate effectively, live with unpredictability, imperfection, stress, and loss of control. You learn to read your body’s signals, enhance your relationships regarding intimacy, and increase your positivity and resilience. By Alexis C. Rizzuto But Why? 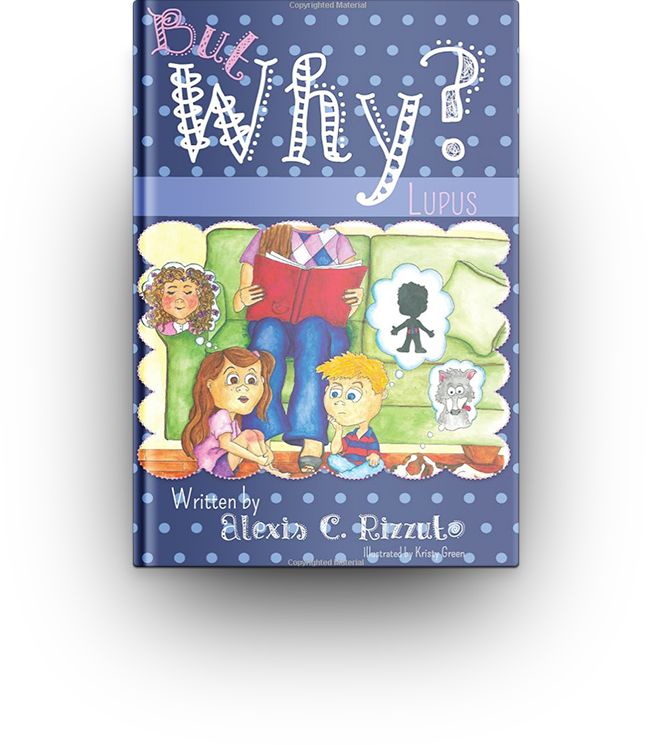 Lupus explores a young person’s experience with the diagnosis of systemic lupus erythematosus (SLE), more specifically, lupus nephritis, SLE. This thoughtful book explores the stages from diagnosis through remission by allowing the reader to enter the lives of one family. You can purchase this book on Amazon, or email butwhybooks@gmail.com for more information. RELEASE DATE: OCTOBER 21, 2013. WORLDWIDE. 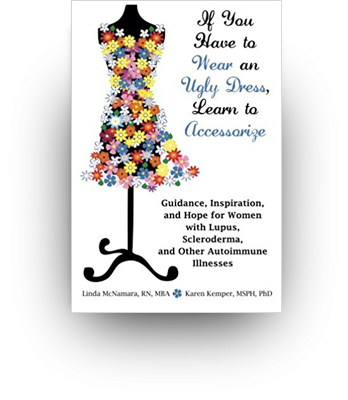 In the book: Lupus: My Constant Companion and Greatest Inspiration, a woman shares her journey of living with Lupus. Through gaining an awareness of the disease as well as the triggers at a physical, emotional and spiritual level, she was able to realize that almost every symptom, side effect and medication could be managed (and counteracted in some cases), which enabled her to regain much of the energetic life she once had. She provides concrete tools to support self-discovery for the reader to apply to their own life to achieve a sense of balance and become an active decision-maker towards their own well-being. 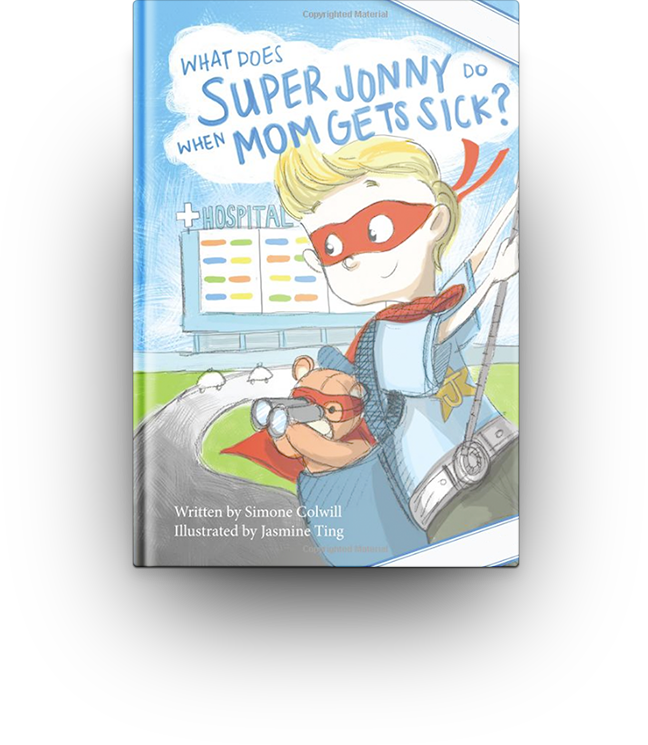 Jonny is a little superhero with a big problem. His Mom is sick. How can he help? Join Jonny and Bear as they go to the hospital to investigate. LEARN who the staff working in the hospital are and what they do. DISCOVER Jonny’s secret weapon. BECOME EMPOWERED to offer practical help to a sick person. 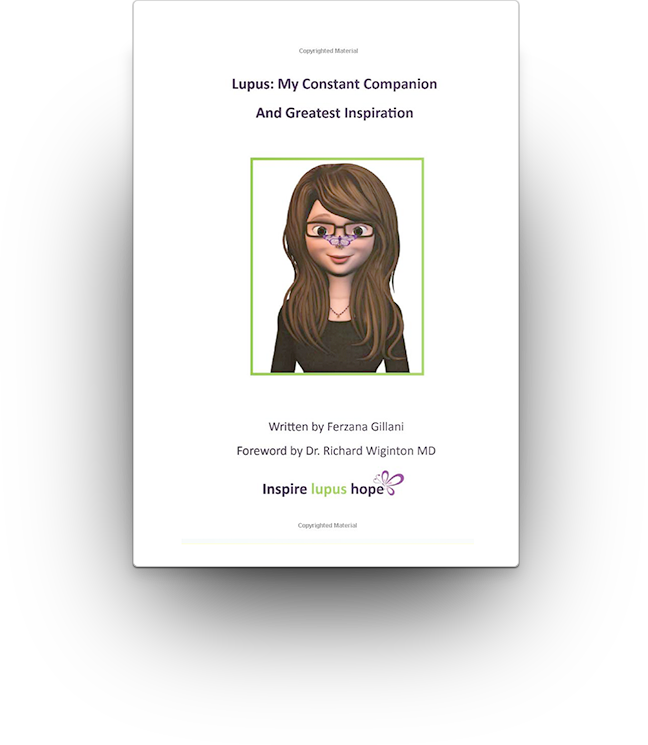 Diagnosed during her high school years, the author decided to keep a personal diary of her confusion, fear, and challenges of being diagnosed with Lupus. Lupus, also known as Systemic Lupus Erythematosus (SLE) is a disease that can affect many different body systems, including the joints, skin, kidneys, blood cells, heart, and lungs. Lupus is more common in women than in men. Research continues to be done on finding a cure for this life-threatening illness. 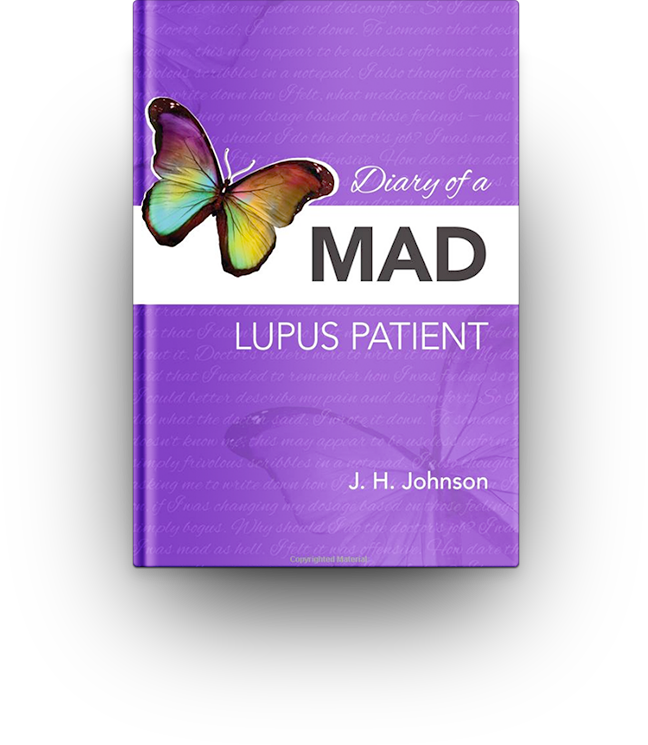 This diary records thoughts and feelings for being diagnosed, to understanding and accepting the reality of living life with Lupus. 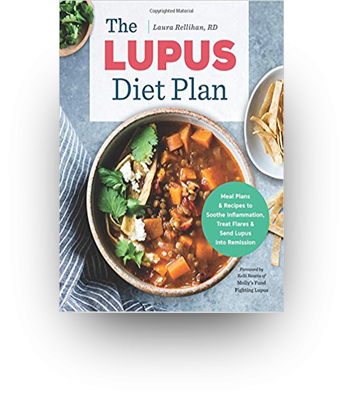 A perennial bestseller, Lupus Q&A is the go-to guide for sufferers of a chronic autoimmune disease that affects more than 1.4 million people in the United States alone. Characterized by achy joints and skin rashes, lupus often mimics other diseases, making it tricky to diagnose and treat. 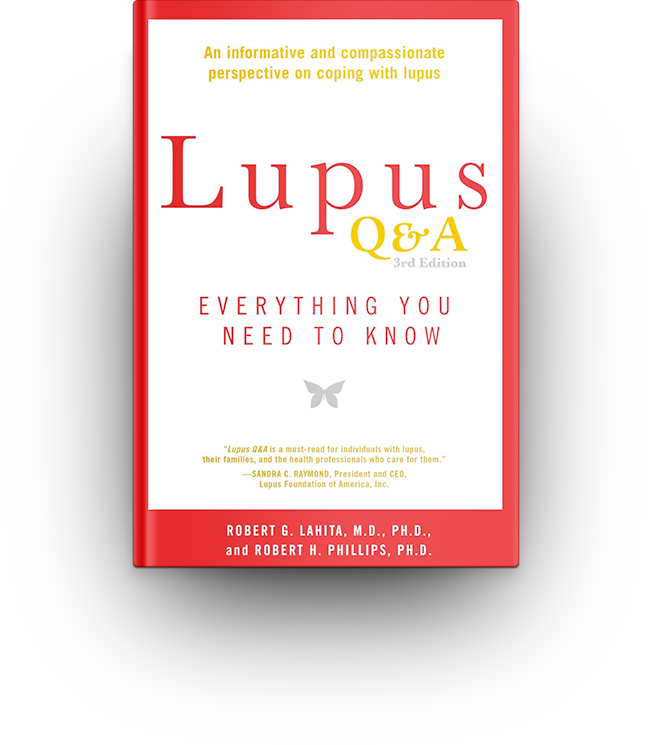 In this completely revised and updated edition, Dr. Robert Lahita and Dr. Robert Phillips—leading experts on lupus—discuss topics in a clear, concise, and easy-to-follow Q&A format. ―Kelli Roseta, 26-year systemic lupus erythematosus survivor; Client Services Coordinator Kaleidoscope Fighting Lupus.